Producers Tristram Miall (Strictly Ballroom) and Jan Chapman (Bright Star, The Piano) and director Chris Noonan (Miss Potter, Babe) are three of the seven-person pool of people that Screen Australia will regularly call on to help make decisions on the agency’s feature film investments. Also in the group is editor Marcus D’Arcy (Tomorrow, When The War Began), who is now working on director Stuart Beattie’s second film I, Frankenstein, and screenwriter Andrew Bovell (Edge of Darkness, Lantana), who has just adapted the John le Carré novel A Most Wanted Man, which director Anton Corbijn starts filming in Hamburg in September with Philip Seymour Hoffman in the lead. Script consultant Joan Sauers and Neil Peplow, a former UK-based producer who was director of film at Skillset before moving to Australia a year ago to take up a senior role at the Australian Film, Television and Radio School, complete the seven. They replace Victoria Treole and Matthew Dabner, whose contracts have come to an end. The Australian industry is a very small pool and one of the justifications for this bigger group is to make it easier to handle conflicts of interest. 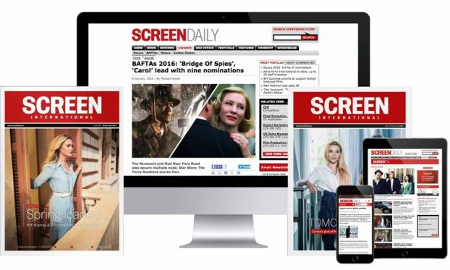 As well as announcing this new group of advisers today, Screen Australia also confirmed the adoption of several key changes (flagged eight weeks ago in Screendaily.com) to the investment guidelines that apply to Australian features and films made as official co-productions with international partners – although the latter has another set of rules overlaid on them. One of those changes concerns Screen Australia’s letters of interest, which signal that the agency is very interested in the potential of a project but does not promise that investment up to the agency’s $2.6m (A$2.5m) per project cap will be forthcoming. Unlike in the past, Screen Australia will not insist on an international sales agent being attached before considering an application, although it does still require firm interest from a domestic distributor. The idea is that these letters of interest will act as a tool to help producers secure financing for their films.